Custom designed, American made beach glass jewelry and art created by hand from skilled metalsmiths. Each piece is a unique work of art unlike any other. May 4 & 5, 2019 in Erie, PA! 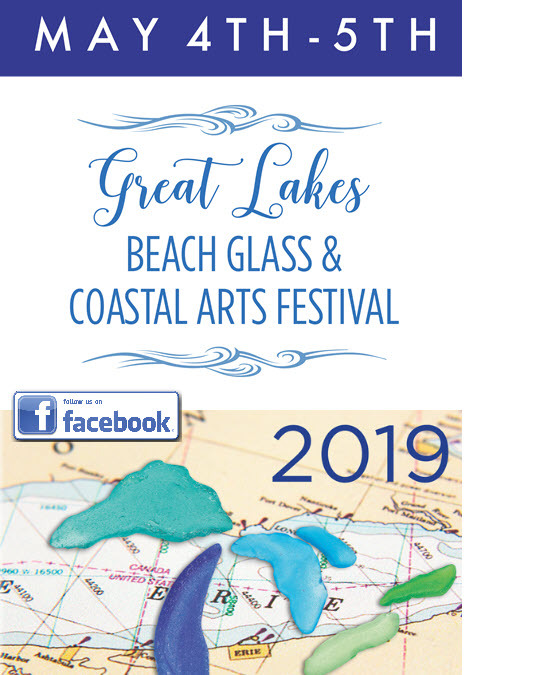 This popular event is headed back to Erie in 2019 and will feature more than 80 talented coastal artists from across the US & Canada, an exciting lecture series, live music, wine tasting, a fascinating sea glass collector area and bottle/shard ID exhibit. Plus, you'll have a chance to see the largest piece of beach glass ever found in Lake Erie - weighing in at more than 275 lbs.! Mark the event on your calendars now! Sat - Sun 10 to 5 p.m.